Capital offers an extensive range of demolition services in Perth Western Australia to its clients in both commercial and domestic arenas. Your First Attempt At Demolition? The process of demolishing a home in Perth can be daunting. There are many things that need to be considered if this is your first attempt at the demolition process. It’s comforting to have someone to help you who’s done it plenty of times before. Capital Recycling and Demolition in Perth have had years of experience demolishing small homes right through to massive 3 storey mansions. 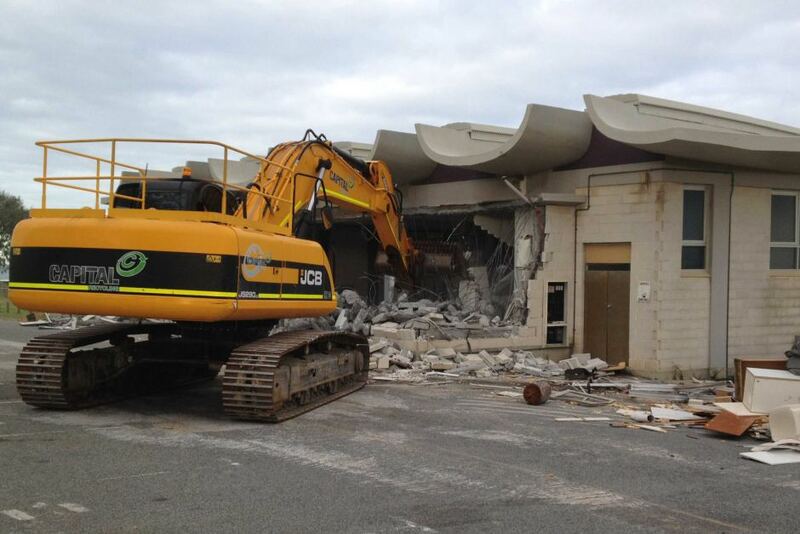 We have even demolished some iconic structures in Perth. We have dedicated staff members whose sole job is to help you. We explain the process from start to finish and outline the timeline and what information we need from you and what you can expect from us. Capital fill in and send off the meter removal (abolishment) forms for you. All you need to do is arrange to close the accounts and pay the bill. We prepare the demolition licence application for you. We can even help you if you need to remove a parapet wall. We can remove your old swimming pool and bring back sand and fill in the hole for you. If you need a compaction certificate we can do that for you too. Some people demolish an old house and build their dream house others demolish a house and build development apartments or units. Whatever you demolition needs give Capital in Perth a chance to provide you with a quote.